By keeping track with the market development, we are engaged in offering Printed Paper Diary to our valuable clients. Our offered diary is mostly used in home, offices, business, etc to make notes and writing important things. This diary is also made in different colors to cater the requirements of our reputed clients. A very cute one with the turtle made in fabric, this one is a very refreshing way to wish with green shades. - Diary with hand printed cover. - A pen that goes with the diary. - A turtle figurine made in fabric with stitches that will not come off. - All the items are made in fabric and will not lose color. 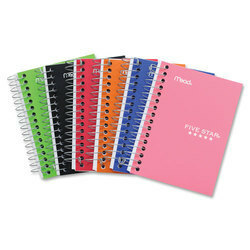 With the proficiency of this field, we are proficient to present an extensive assortment of Printed Diary. In addition, we present these products in diverse sizes and designs that meet on client’s demand. Our company has gained name and fame in presenting Lenticular Notebook Diary. 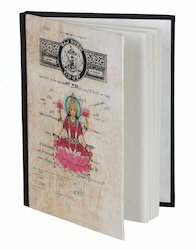 Owing to our rich industry experience, we are able to offer Printed Diary. block printed hand made diaries best for corporate gift , personal gift and own use .